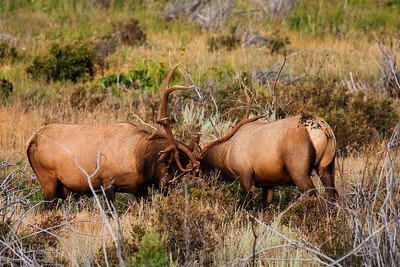 the Elk Rut in RMNP is one exciting to see. 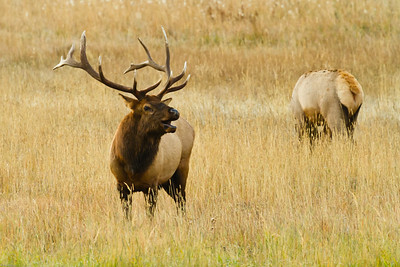 This Elk Bull is bugling with the Elk Does around. RMNP Salad Bull. 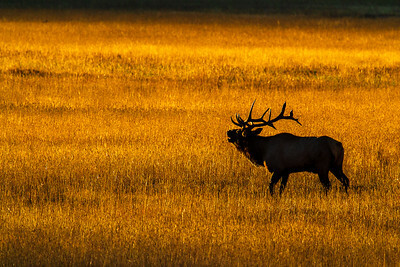 This photo was taken in Rocky Mountain National Park during the elk rut. 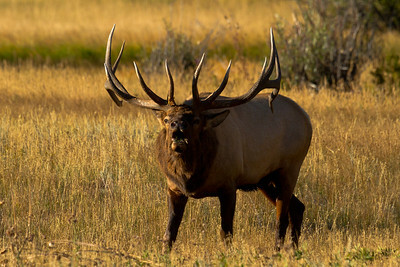 The male Elk bugles to attract females. 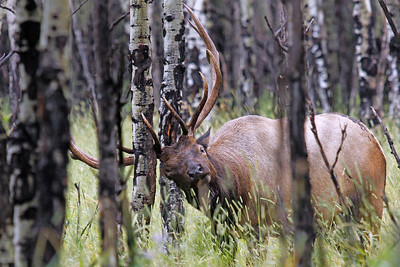 This elk had dropped grass off his antlers on to his head. 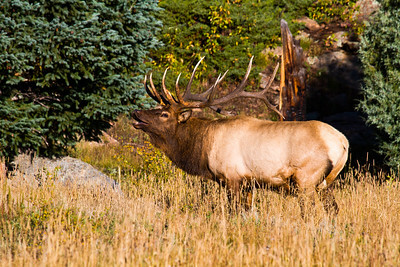 RMNP Camouflaged Bull Elk. 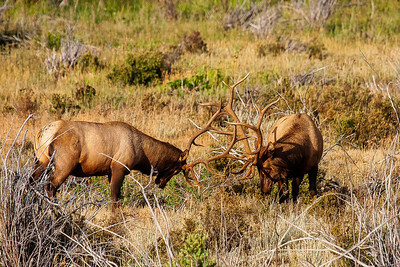 This photo was taken during the "rut" or Elk Mating Season. The Bulls attrach as many cows as they can and they spend a lot of time keeping the cows in their herd. 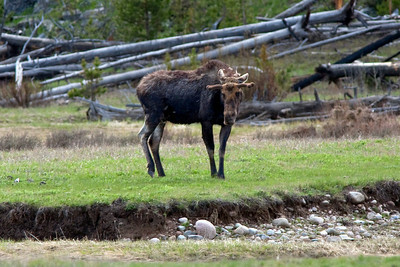 The other Bull Elk try and move it at times. One of the ways to attrach the cows, the Bulls will creat a wallow and roll around in it. 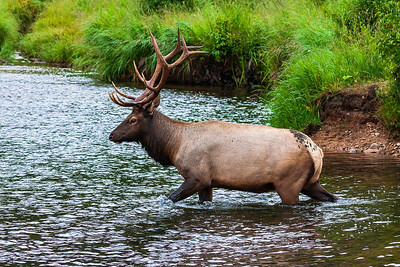 In this case, the Bull Elk was creating a wallow by moving aside the grass. 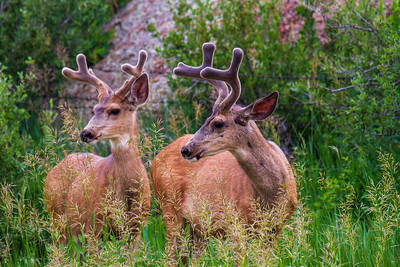 Some of the grass caught in his antlers only to fall and land on his head. I have been told this is called salad. 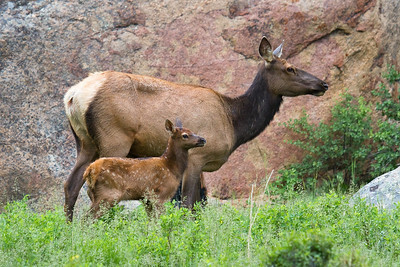 The Bull Elk with one of his cows and a young elk. Bugle. 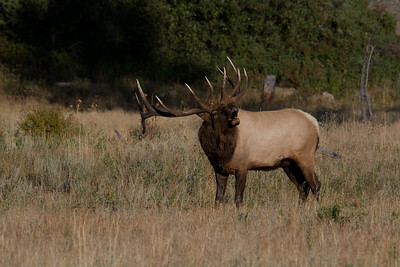 During the mating season (or Rut), the male elk, the bull, bugles. 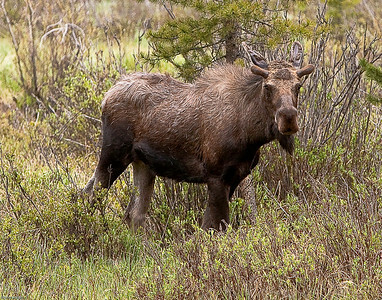 This is attract females but more importantly to keep other bulls away from his herd of cows. This was taken in Rocky Mountain National Park - RMNP before the sunrise. Shortly before this was taken, this Bull went after another Bull and sparred with him. During the winter in Northern Colorado, the antelope are there to see if you look. They seem to be on the move all the time. This herd decided to stop and look back at me just long enough for me to take their portrait. 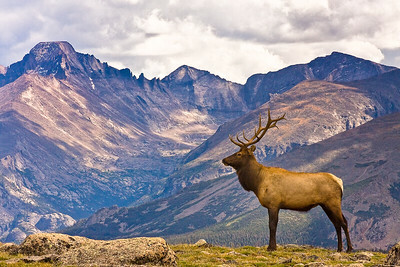 This photo was taken on top of Trail Ridge Road in Rocky Mountain National Park. 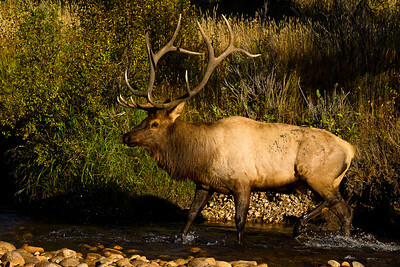 It was just before the start of the Elk Rut. 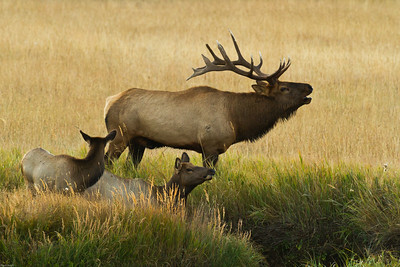 There were three bull Elk bedded down on the ridge. This one was the biggest and just seemed to want his photo taken. The large mountain on the left is Longs Peak, the tallest mountain (over 14K feet) in RMNP.